We took a planning session in the morning followed up by an evening visit to the tourist information and a travel agency to make a few arrangements. Having discovered to our dismay that an international EU drivers licence is insufficient to enable you to hire a car here, plan B is the much cheaper option of a 7 day rail pass but scuppered the plan of visiting some of the more remote areas. The backpacker's Hostel, Ino's Place,. we stayed at was something of an institution. There was a library, book at music exchange area, excellent kitchen, laundery and several rooms and dormitories equipped with wide bunks with rather thin traditional mattresses. 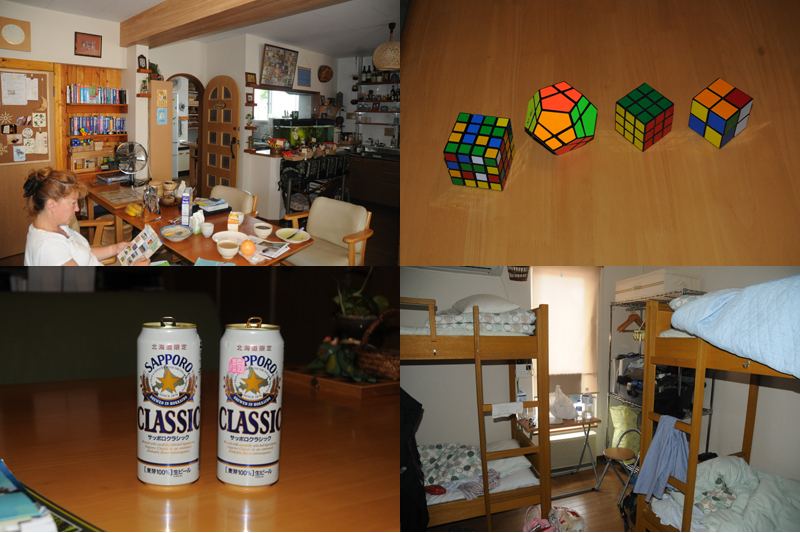 The hostess was very friendly and helpful, of course helping us with accommodation in Kushiro. Incredibly well organised; very homely. On the final morning (23/7) we saw a weather forecast which showed that the typhoon has strengthened again after it set back out to sea and has changed direction again north, though it is currently not predicted to affect Hokkaido. 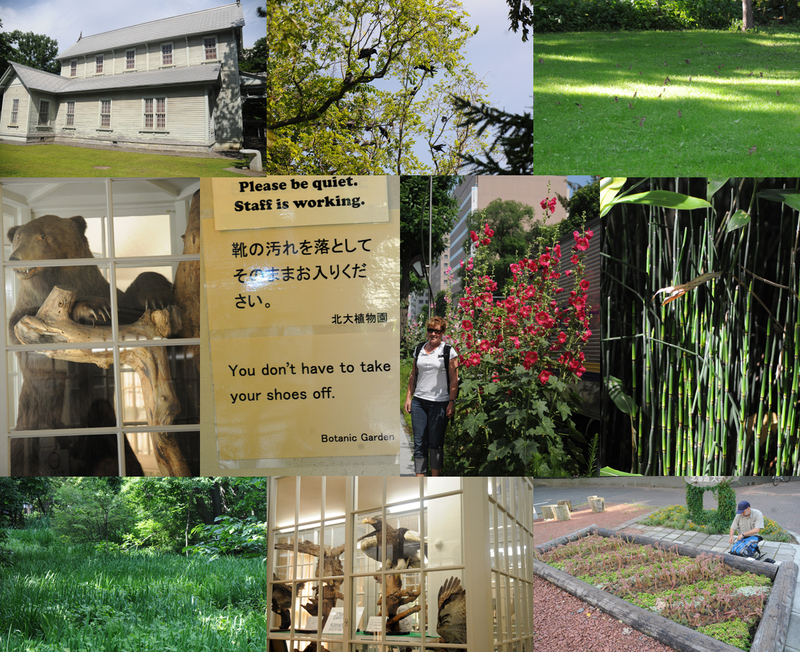 The main aim of the day was to visit the Sapporo University Botanic Gardens. This is described in the Lonely Planet as a must and proved to live to this reputation. Lots of plant photos to follow.